Caretaker managers often skirt around their chances of making the role permanent, but Luton boss Mick Harford is steadfast in his desire to avoid the full-time job. Ole Gunnar Solskjaer courted the Manchester United fanbase and hierarchy throughout his temporary tenure at Old Trafford, but his intentions appeared clear and his success was rewarded. 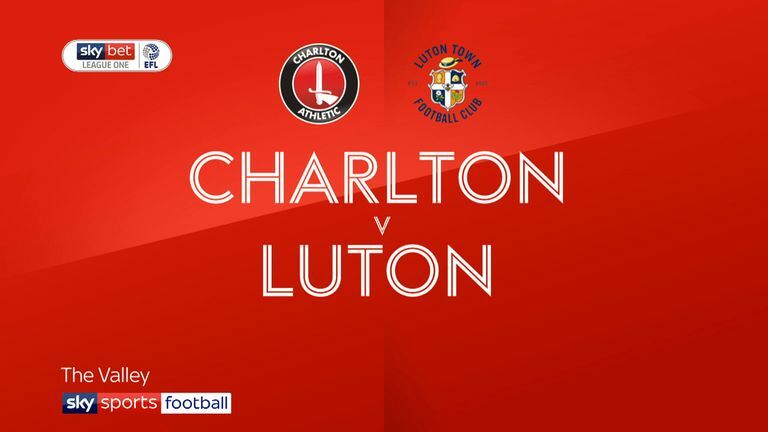 Harford, however, is quite open about his disinterest in the full-time role at Luton, who face Accrington on Saturday, live on Sky Sports Football. Since Nathan Jones left Kenilworth Road for Stoke in January, Harford has led Luton to the top of League One and continued a club-record unbeaten run that reached 28 league games before Saturday's loss at Charlton. Despite this success, the 60-year-old, who stepped up from head of recruitment at the club, insists he will return to his previous role in the summer. “I don’t like the idea with a caretaker of constantly asking: ‘Will he get the job?’, ‘If Mick wins next week, will he get it?’ None of that,” Harford, who won the March Sky Bet Manager of the Month award, says. Straightforward answer, but Harford’s association with managing the club with whom he had two spells as a player, is anything but simple. Harford was in charge when Luton began a doomed 2008/09 League Two season on -30 points after the FA and Football League handed down brutal penalties for financial and transfer irregularities. That season ended, unsurprisingly, in relegation to the Conference, an exile that lasted five years. “I think everyone has respect for what happened with that points deduction,” Harford told Sky Sports on the EFL Day of Action. “That was a disappointing year for everyone at the club. I was the manager and we got relegated so I was part of that relegation. Luton’s previous owners were ousted and in 2008 replaced by 2020, a consortium of local businessmen who support the club. They oversaw the non-league years, several manager arrivals and exits and most recently the local council’s approval of a new stadium and a development that will reinvigorate the town. “Where we are as a club is with a new stadium on the way and looking forward,” says Harford, who has seen the bad times so deserves to enjoy the good. “You build from the top - good board, good directors. It takes time, things don’t happen overnight. 2020 took over in a really tough time. They deserve what they get. They’ve changed the whole structure of the town. “When this role finishes, I will go back to scouting. There are only three or four of us dotted around the country. As a group, we do well. I enjoy being on the road, but the budget’s not very big so I don’t go far!" That passion helped Harford lift the League Cup with Luton as a player in 1988 and the Johnstone’s Paint Trophy as a manager in the season they fell out of the EFL in 2009. But the following season, after a disappointing start to life in the Conference, the board reluctantly felt the need to let Harford go. “Going down to the Conference actually wasn’t bad for us,” says Luton chairman and lifelong fan David Wilkinson. “It brought everyone’s expectations down. "But then having to fire Mick was one of the worst days of our lives." But the club finally returned to the EFL in 2014 under John Still. Fast-forward to last season and Nathan Jones took the Hatters into League One, only to leave three months ago with a second consecutive promotion on the cards. So Harford stepped in. As for Harford, he remains adamant he prefers his recruitment role and, although Luton appear on the cusp of an unexpected promotion, he is taking nothing for granted. “We don’t presume. We don’t predict. We keep scrapping,” he says. When the scrapping is done, Harford may have led Luton back to the Championship after a 12-year absence. Not bad for a caretaker.